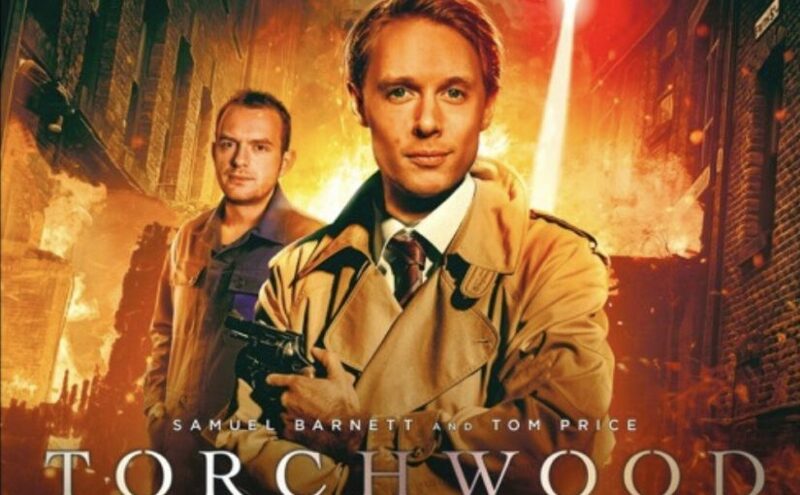 Big Finish has released the story details, cover art and trailer of the sixth series of Torchwood: God Among Us 2. Norton Folgate’s come from the 1950s to warn Torchwood it’s the end of the world. He might have a point – there’s an alien god wandering the city, and a sinister force manipulating events behind the scenes. Where are all the homeless people going? And why doesn’t it stop raining? Flight 405 went missing over 60 years ago, but tonight the plane finally lands. Norton Folgate is a Torchwood agent from the 1950s and he swears Flight 405 contains the secret to the end of the world, but can Torchwood trust him? An app’s been launched that allows you to tag the homeless. People think they’re doing a good thing and helping out. It does seem a remarkable success. After all, since it’s launched, there are a lot less homeless people on the streets – so it must be doing some good, mustn’t it? Yvonne wakes up in Andy’s body – and both have difficult days ahead of them. Meanwhile, Norton’s making himself very much at home in Tyler’s body, much to Tyler’s alarm, and Ng is worried she knows what’s going on. Someone’s playing a terrible trick on Torchwood. But who will win? An alien power station is sending out waves of lethal energy, people are turning to stone and the water levels are rising. As Torchwood set out on a desperate mission, god takes tea with someone who has been playing a very long game. Has the time come for Norton Folgate to save the world? James Marsters, the star of cult television shows Buffy The Vampire Slayer and, Angel. 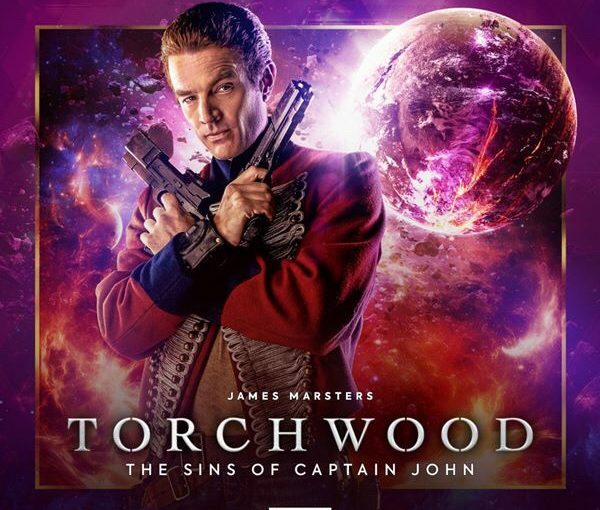 Is set to reprise his role as Captain John Hart, in a series of his own adventures in the Torchwood audio universe. The rambunctious, deadly and ever-so charming captain will be back at the helm in a new four-story box set, The Sins of Captain John, created by Big Finish Productions in association with BBC Studios. 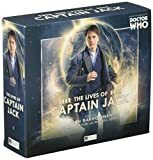 Captain John Hart made his audio debut in The Death of Captain Jack, released in March 2018. In this story he killed the entire Torchwood team – including John Barrowman’s supposedly immortal Captain Jack Harkness. He also married Queen Victoria and had no less than three ‘relationships’ with characters from history. Who knows what he’ll get up to in this next box set of adventures! In these stories we’ll find the villainous anti-hero thriving in Restoration London, exploring gas planets, playing ‘Stepford wife’ and kissing (then killing) countless victims… Just a day in the life of a rogue Time Agent! Billie Piper is returning to the Doctor Who universe in Rose Tyler: The Dimension Cannon, a new audio series made in association with BBC Studios. 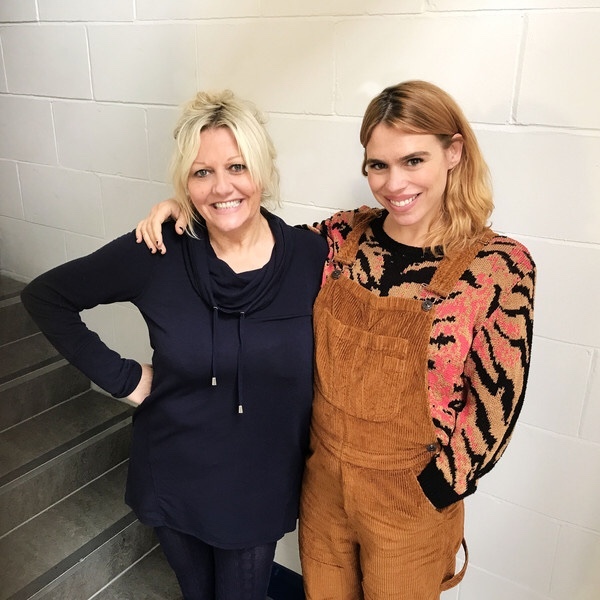 It follows Rose’s journey through dying parallel worlds, and also stars Camille Coduri as Rose’s mum Jackie, Shaun Dingwall as her dad Pete, Mark Benton (Legend!!) as alien investigator Clive Finch and Elli Garnett as Caroline Finch. The four episodes follow Rose’s mission to seek out the Doctor, the only person who can save the doomed multiverse. 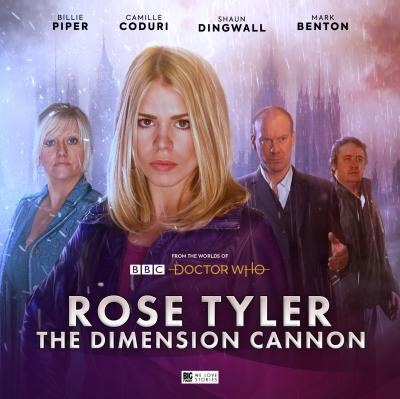 From the worlds of Doctor Who, Rose Tyler – The Dimension Cannon will be released in September 2019, available for pre-order now on CD at £25 on CD and £20 on download. 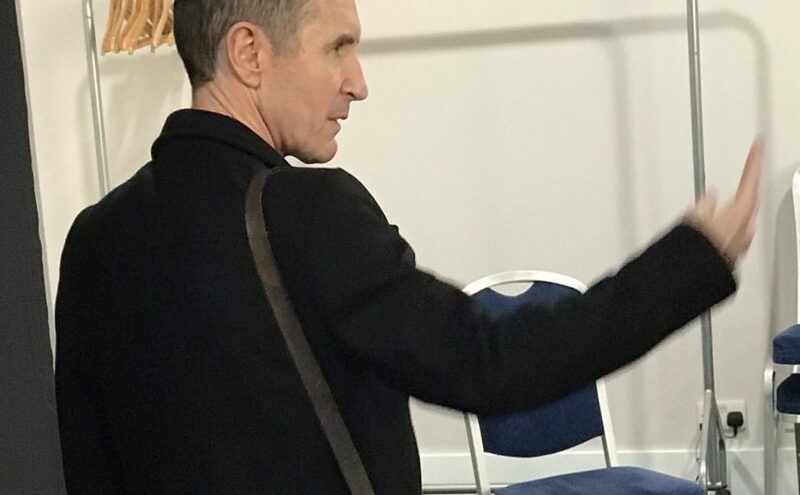 Recorded today at MCM London, here’s the interview I attended with Paul McGann. He discusses Jodie Whittaker and whether or not sci-fi should ever be political. He praises Big Finish, Bradley Walsh and Sheridan Smith. He also addresses the Withnail & I drinking game. Paul John McGann is an English actor. He came to prominence for portraying Percy Toplis in the 1986 television serial The Monocled Mutineer. He later starred in the 1987 dark comedy Withnail and I, and as the eighth incarnation of the Doctor in the 1996 Doctor Who television film, a role he reprised in more than 150 audio dramas and the 2013 mini-episode “The Night of the Doctor“. Audioboom, Player fm and Itunes. Also check out the official Bad Wilf Vlog. After adventures with the eighth, seventh and sixth Doctors. River Song finally meets with the legendary Fourth Doctor, in The Diary of River Song Series 4. When River Song visits a place where time has vanished, a genie escapes its bottle… the Discordia are freed – nihilistic time pirates, in devilish form, altering the past to make sure they never lose. Emma Reeves and Matt Fitton’s Time in a bottle, has a fascinating story idea. There’s a place in space with no time. That’s such an interesting concept for a story. However, I can’t help but feel this story is wasted in a box set format. There’s nothing wrong with it, it’s a strong concept, with great writing and a superb cast, with writers at the very top of their game. I just feel the time constraints of a boxset limit the stories true potential. This would’ve made a very interesting four-part story in its own right. Regardless, it’s a solid introductory adventure that sets up the premise and introduces the main villain. It also takes the interesting angle. It feels like a good old fashioned pulp adventure. James Bond-esque in places. It pits River against her intellectual rival and shows her at her most Doctor-like state. ‘Kings of Infinite Space’ may not have the most original plot, but it is very entertaining and rewards repeat listening. It’s easily the strongest of the set. It’s well paced, paradoxical and fun. 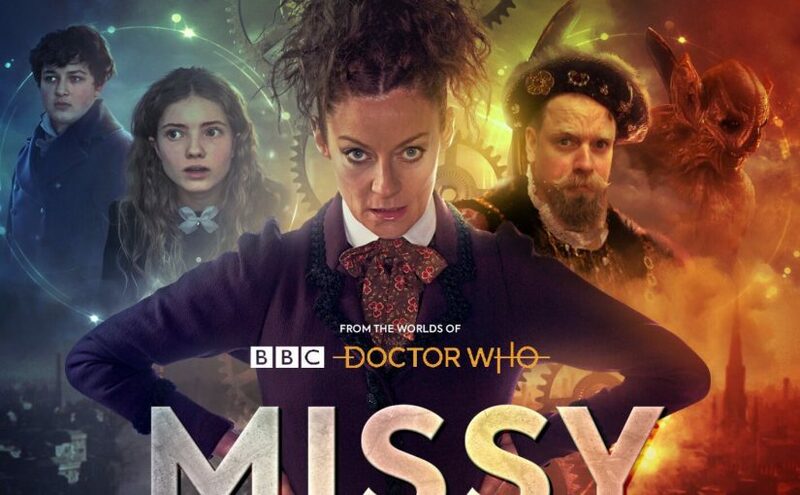 Alex Kingston and the rest of the cast are on top form. It feels like a Moffat era Doctor Who story. There’s action, humour, with a great use of the vortex manipulator and the locations that time travel opens up. 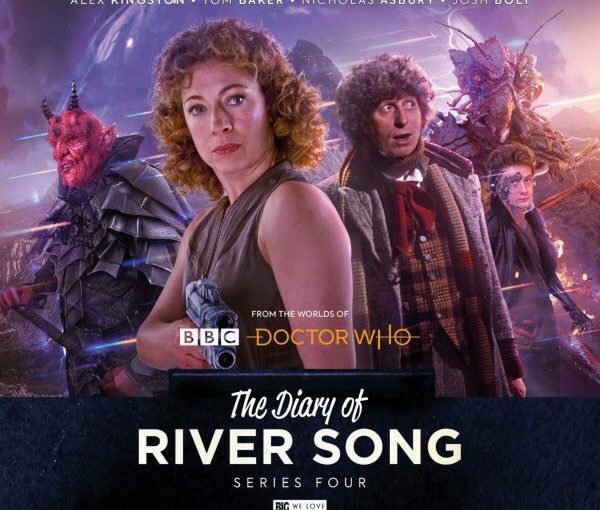 It’s everything you could want from a River Song audio. ‘Whodunnit’ is an oddity in this boxset. Now, that isn’t me saying it’s bad. Far from it. The concept is interesting, with some thought-provoking philosophical discussions, the characters are three-dimensional and it’s well paced. However, it just doesn’t fit this box set. Like time in a bottle, this would’ve made a great main range story. Given more time to fully explore the premise, this could’ve been great. But I felt it interrupted the flow of the story ark. That said, it’s an interesting listen with a fun take on the cliches of murder mysteries. Someone I once knew, is the big one. The season finale, the one fans are excited for and it delivers. John Dorney brilliantly subverts expectation and puts an interesting spin on the River/Doctor dynamic. Tom Baker and Alex Kingston have an instant rapport and a naturally brilliant chemistry. I would welcome future stories with this duo. Their chemistry is so natural, it’s difficult to believe they only met on the day of recording. Series four of ‘The Diary of River Song’ perfectly meshes the unique styles of the Steven Moffat era and Big Finish originality. Not every story works completely and suffers from what most prequels do. Giving River companions is always going to be tricky, as we’ve never encountered or heard mention of them in the main show, you know they’re a goner the second they’re introduced. At times the fourth Doctor feels more like a plot device, than an active companion. But this set is an absolute joy to listen to and has left me excited for series 5. Alex Kingston (River Song), Tom Baker (The Doctor), Adele Lynch (Gammarae), Fenella Woolgar (Professor Jemima Still / Formidian Queen), Josh Bolt (Spod), George Asprey (Melak), Nicholas Asbury (Dante), Ewan Bailey (Human / Alien / Robot Voices), Tim Bentinck (Franz Kafka / Samsa), Alex Tregear (Miss Vermillion / Vermillion), Christopher Naylor (Lord Simon Whist / Captain Bartholomew / Discordia Underling), Shvorne Marks (Cissy / Thelma Sketch), Nigel Anthony (Rakkezar / Drayl), Nathalie Buscombe (Garen / Galerayna). Other parts played by members of the cast. Executive Producers Jason Haigh-Ellery and Nicholas Briggs. Sheridan Smith returning to Big Finish! After last weeks Twitter tease, Big Finish has confirmed that Sheridan Smith will be reprising her role, as Lucie Miller in four new adventures with the Eighth Doctor (Paul McGann) in an exciting new box-set, due for release next year. Lucie started her journey with the Eighth Doctor back in 2007 and was an instant hit with fans. She went on to feature in three more series alongside Paul McGann, until she left in 2011. Fans have been demanding she come back, ever since. 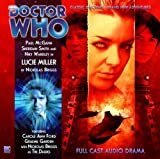 The Further Adventures of Lucie Miller, which includes four adventures and a disc of extended extras, will also be released in July 2019 and can be pre-ordered now for £25 on CD or £20 on download, only available from Big Finish. Jackie Tyler has everything she’s ever wanted: a loving husband and two children. But a terrible, far-reaching plan is underway, and only Jackie and a single friend stand in the way of it. The Siege of Big Ben is a highly anticipated release. Ever since we left the Tylers and the meta-crisis tenth Doctor at the end of series 4, (10 years ago!) fans have wondered what happened next. Thankfully, Big Finish has given us some answers with this release. This can’t have been an easy thing to write. Not only did Joe Lidster have to tell a gripping story that lives up to the fans expectations. He had to re-introduce us to the parallel Earth, or “Pete’s world”. 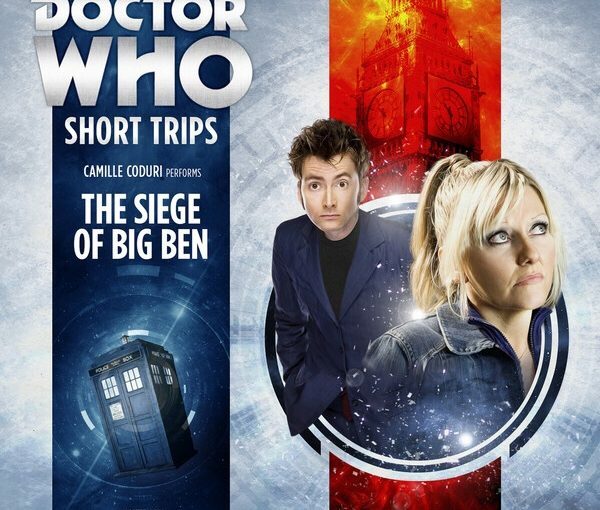 A base under siege scenario is a stablemate for Doctor Who. But Lidster manages to beautifully subvert what could be a repetitive format and turn it into a glorious character piece. The script draws parallels between The Doctor being more human, and the human, being more like The Doctor we know and love. Having Jackie be the most Doctor-like character in the story adds an interesting dynamic. The script is sharp, the direction is smooth and David Roocroft’s sound design is inspired. All in all, The Siege of Big Ben is a story about love, loss and the difficulties that come with moving on. You feel all of these things whilst listening. Camille Coduri oozes charm and instantly reminds you, why we all love Jackie Tyler. This world is waiting for further exploration and I hope, this leads to some full-cast adventures. The Siege of Big Ben can be purchased here. Sgt Andy Davidson wakes up in the 1950s. He’s chained to a bed, his clothes are missing and the building’s on fire. Norton Folgate needs his help. The streets of Soho are swarming with gangsters, rumours and betrayals. Somewhere out there is a mysterious alien artefact, and Andy and Norton have to get to it first. Because tonight they’re going to save Torchwood. I’ve been looking forward to another adventure with Andy and Norton, since last year’s Ghost Mission. There’s just something about this pairing that works so well. Goodbye Piccadilly is absolutely gripping, from start to finish, the script is sensational. The direction is smooth, the sound design is flawless. Tom Price, Samuel Barnett and the supporting cast all give pitch-perfect performances. What’s great about this audio, is that all of the London events-bar the alien invasion and the time travel, are real. James Goss took his research for this story extremely seriously, he looked at books such as ‘hidden London’ for inspiration and it shows. The life drawing class, the police raids and, gay men being hosed down are all things that actually happened in the 1950’s. 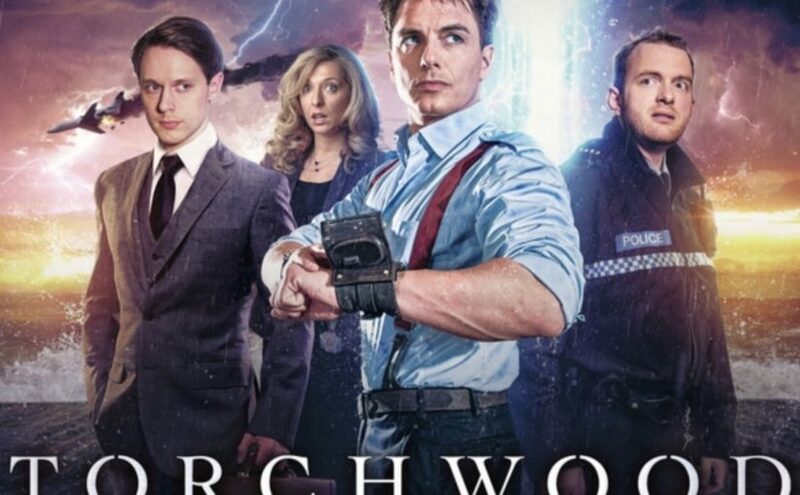 Big Finish has once again proved that Torchwood Big Finish, is Torchwood at its best. Torchwood contains adult material and may not be suitable for younger listeners. 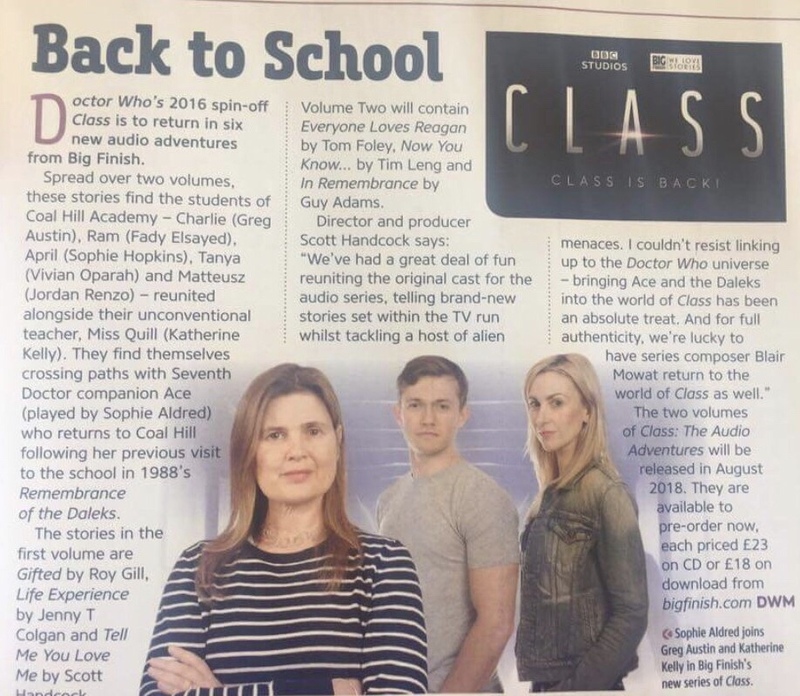 Class is back in session – on audio, from Big Finish. Some readers may know, that this weekend I was lucky enough to interview three of the cast members, whom hinted to me they had signed up to reprise their roles on Big Finish. The news has now been confirmed, after subscription copies of the new Doctor Who Magazine were sent out early. The Class range will comprise of two new box sets of adventures. The original cast; Grey Austin, Fady Elsayed, Sophie Hopkins, Vivian Oparah, Jordan Renzo and, Katherine Kelly will all be reprising their roles. However, they’ll be joined by Sophie Aldred as Ace. They will also face off against some Daleks. The six stories are by Roy Gill, Jenny T Colgan, Scott Handcock, Tom Foley, Guy Adams, and Tom Leng. The series will be directed by Scott Handcock. Music will be by the series’ TV composer Blair Mowat. These audios will be set during the series and will not be resolving the cliffhanger. 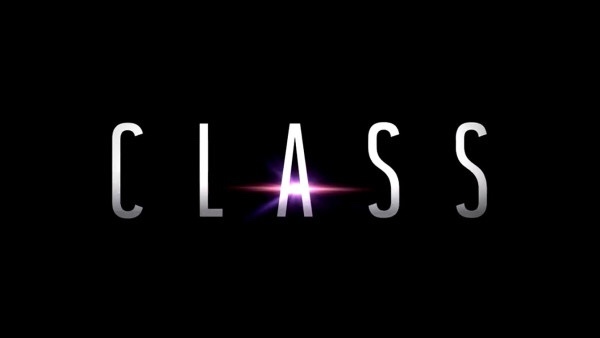 I wasn’t really a fan of Class on TV, I felt it didn’t truly live up to its potential. However, I’m excited for this. Big Finish have proved themselves time and time again, I’m confident they’ll make Class the series it should’ve been.